"The Stories of Our Lives"
Because we’ve gone “all digital” with the 2018 conference brochure, we’re able to make regular updates to the conference information. Keep checking back periodically for additions and changes to the program. In writing and telling the stories of our lives we find our own voices as students, teachers, and communities, allowing us to explore and define our culture, history, beliefs, and values. We bring to a conscious level our personal identities as readers and writers. Stories act as windows, mirrors, and sliding glass doors (credit to Rudine Sims Bishop), challenging us to look within ourselves and beyond ourselves to find common ground. Through our writing as teachers and students, we can share what we do together at school - our successes and failures, in order to make visible the work we do and to collaborate for change. How do we broaden curriculum to allow our students to tell their stories? How can writing build strong classroom communities? What is the value of sharing? How can we explore the stories of our teacher lives and how they blend with our personal lives? How do we develop a writer’s identity in our students? Who are your mentors? How do we shape writing assignments to include diverse perspectives? What challenges you? What challenges do our students face? Is there a memory that stands out to you? How has being a writer changed you? Please join us October 19 and 20, 2018! 7:50—8:30 Registration PLUS Early Bird Session with Aileen Hower: KSLA Books for Middle and High - Everyone Leaves With Books! 3:15—3:30 Conference 2018 Round-Up—Coffee, Dessert, and PRIZES! A. S. King has been called “One of the best Y.A. writers working today” by the New York Times Book Review. King is the author of highly-acclaimed novels including her 2017 release Me and Marvin Gardens, 2016 release Still Life with Tornado, 2015’s surrealist I Crawl Through It, Glory O'Brien's History of the Future, Reality Boy, the 2012 Los Angeles Times Book Prize winner Ask the Passengers, Everybody Sees the Ants, 2011 Michael L. Printz Honor Book Please Ignore Vera Dietz among others. She is a faculty member of the Writing for Children and Young Adults MFA program at Vermont College of Fine Arts and spends many months of the year traveling the country speaking to high school and university students. After more than a decade living self-sufficiently and teaching literacy to adults in Ireland, she now lives in Pennsylvania. You can find her online at www.as-king.com. As a full time writing coach for Wawasee School District in northern Indiana, Ruth spends her days helping students find meaning in their stories, and encouraging teachers to reflect and refine the art of teaching. "I love documenting ordinary stories from everyday life," Ruth says. Ruth earned her bachelor's and master's degrees from Indiana University. She has taught seventh grade language arts in Wawasee Middle School for four years. She is currently the district's writing coach. Ruth says that she wanted to become a teacher because she wanted to have a positive impact on the lives of middle schoolers. "I like helping students see the power of their everyday stories and to learn how their words can make the world a better place. I consider myself among the most fortunate because I spend my days with children and adolescents, teaching them how to make sense of the world through reading and to impact the world with their voice through writing." Ruth has written three books with Stenhouse including Day By Day with Stacey Shubitz and Celebrating Writers with Christi Overman. Her newest, Enticing Hard-to-Reach Writers will be out in October 2017. Shawna Coppola has been teaching for over sixteen years, most recently as a K-6 literacy specialist at Rollinsford Grade School in Rollinsford, NH. She has also taught courses through the NH Literacy Institutes and is a frequent contributor to a variety of blogs, including those of The Nerdy Book Club and The Educator Collaborative. Her debut book from Stenhouse Publishers, titled Renew! Become a Better--and More Authentic--Writing Teacher, was released in late spring/early summer of 2017. Kate Egan Cunningham's Story: Still the Heart of Literacy Learning reminds us that stories found in literature, poetry, music, art and illustration, multimedia, and throughout all aspects of our lives serve to move us, inform us, and call us to action. What's more, these narratives provide an invaluable teaching resource to attract young readers and writers and, subsequently, to deepen their understanding of the world. Kate has a Doctorate of Education from Teachers College, Columbia University, 2009. She is a veteran classroom teacher, a literacy consultant, and an associate professor at Manhattanville College. She is the coauthor of the popular blog The Classroom Bookshelf as well as the coauthor of Literacy Leadership in Changing Schools (Teachers College Press, 2015). She lives with her husband and two sons where hilarious, heartfelt stories happen each day. She is an assistant professor at Manhattanville College in Purchase, NY. Kelly Starling Lyons’s One Million Men and Me (Just Us Books, 2007), illustrated by Peter Ambush, emerged from memories of attending the Million Man March. She has three picture books with G.P. Putnam’s Sons that celebrate freedom and family and explore the themes of hope, love and faith. Ellen’s Broom, illustrated by Daniel Minter, was inspired by a document she saw while researching family history in Rockingham County, NC and Henry County, VA. Tea Cakes for Tosh, illustrated by E.B. Lewis, was inspired by her relationship with my grandma. Hope's Gift, illustrated by Don Tate, ties in with the 150th anniversary of the Emancipation. Kelly is a children's book author whose mission is to transform moments, memories and history into stories of discovery. You can find her online at www.kellystarlinglyons.com. Matthew Kay is the founder and coordinator of the Philly Slam League, which is now in its eighth season. Matthew is a founding teacher at Science Leadership Academy. He is the author of the forthcoming book Not Light, But Fire: How to Lead Meaningful Conversations about Race in the Classroom (to be released in June 2018 by Stenhouse Publishers). He is passionate about the development of youth confidence through the encouragement of their voices. The Saturday roundtable session will feature a new format for our roundtable discussions. In this wide-ranging session sponsored by PA-CEE, undergraduate and master’s level pre-service English teachers from across the region will lead roundtables exploring 21st century teaching ideas and best practices. Our hope is that by offering this option to share a roundtable presentation with other student presenters and our membership, we will create a safe space for our pre-service and masters level students and will encourage them and they encourage us. We can continue to learn from each other! All PCTELA conference participants are encouraged to attend this special session in support of these exceptional future English teachers. Please join us! Sit down, relax, and enjoy a panel conversation during breakfast with some exciting authors of many genres. Join these authors at Saturday’s AUTHORS’ BREAKFAST and hear them discuss their careers, their passion for literacy and education, and their trials and triumphs as writers. Authors participating this year include Jennie K. Brown, Val Jones, Frank Murphy, Lisa & Robert Papp, Jan Cheripko, and Adam Lehrhaupt. Because this is a special event with a full breakfast provided there is an additional fee of $25 for this event. Everyone will receive a free book! On Friday and Saturday, outstanding educators from throughout Pennsylvania will share their insights into the current best practice of the profession and offer some practical strategies for classroom activities. Included in the program are special strands for elementary and middle level educators and special sessions from the PA WRITING PROJECT. In addition, ROUNDTABLE discussions of various topics will be presented both Friday and Saturday. Throughout the conference, meet novelists, children's authors, historical writers, and education professionals from throughout Pennsylvania and the immediate area and discuss their work, copies of which will be available for Purchase and autographing in the main room. In addition, all featured presenters and authors in attendance at the AUTHORS’ BREAKFAST will be available to sign books. 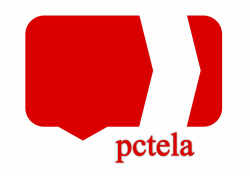 Purchase books, pick up PCTELA souvenirs, and visit our exhibition of professional resources including materials from our many outstanding supporters and publishers! As we get closer to conference time, we’ll post the names of our exhibitors HERE and update the list regularly as we learn of their participation! Look through your personal libraries and see if you have any titles you’re ready to float on to someone else and bring them with you to exchange for titles others have brought. Professional titles, children and young adult titles, novels and nonfiction welcome. Feel free to make reservations at our conference hotel! We have a block of rooms reserved for the conference at a discounted rate. You must make your reservation by October 6th in order to receive the block discount. Of course, you can still enjoy the conference without overnight accommodations if you are within daily driving distance as REGISTRATIONS FOR BOTH ONE AND TWO DAYS of the conference are available and both days of the conference are filled with exciting presentations, speakers, and activities. Please join us. Set 3.2 miles from the National Civil War Museum, this modern conference hotel is also 10 miles from Hershey Park amusement park. Contemporary rooms have free WiFi, flat-screen TVs and iPod docks, plus microwaves and mini-fridges. Upgraded rooms offer pull-out sofas, and some have balconies. Suites add separate lounges and/or whirlpool tubs. There's an American restaurant/bar and an atrium lounge, as well as a heated indoor pool, a fitness center and a game room. Other amenities include 15,000 sq ft of meeting space, a business center and a coin-operated laundry. There's also an area/airport shuttle and free parking. ​Click here for the GPS address and other directions to the hotel.